where the fan is exposed to a prevailing surge that makes it sway to and fro. 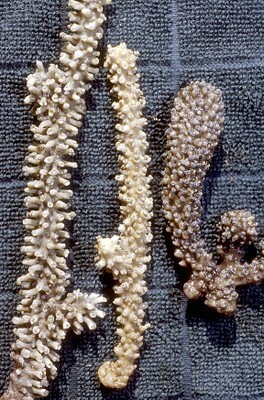 The different morphologies have developed to maximize the amount of plankton entering the sieves of the polyps, and the amount of light they receive, which benefits the symbiotic zooxanthellae. 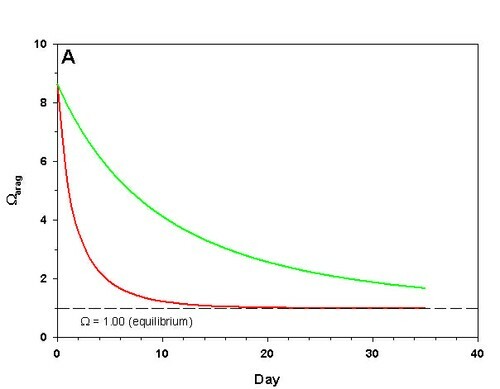 This is achieved by reducing the amount in which one part of the colony ‘shades’ another part of the colony from the current or light. In fan shaped colonies the back and forth flapping caused by surge shades the lower side while the upper is illuminated. When there is no surge, the fan sits upright and both sides are illuminated equally. Members of the genus Pseudopterogorgia have narrow smooth branches and the colonies are commonly pinnate (feather shaped). The most common colors are pale lavender and brown, but they may be gray, deep purple or yellow. 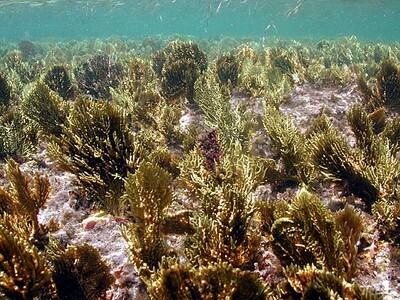 In Florida there are five common species found on the reefs and numerous other species that occur only in backreef areas and in bays. The most popular species that is commercially harvested for aquariums is Pseudopterogorgia elisabethae, known in the aquarium trade as the “Purple Frilly.” It occurs on outer oceanic reefs, attached to vertical faces and the undersides of ledges. This contrasts with most other species in this genus, that normally are attached upright on hard flat bottoms, or on the tops of reef structures. Pseudopterogorgia bipinnata occurs with P. elisabethae, attached in the same orientation, and ranges slightly deeper. It looks quite similar to P. elisabethae, but has finer branches. It may be deep purple, butmore commonly is pale gray. The three species of Pterogorgia are common on backreefs and nearshore habitats, growing upright in extremely shallow water. They tolerate very bright illumination, and thrive where other gorgonians would quickly become smothered by algae. Their success is largely due to their capacity to shed a waxy surface coating that prevents algae from gaining a foothold on them. They are not successful at preventing another type of gorgonian from growing on them. 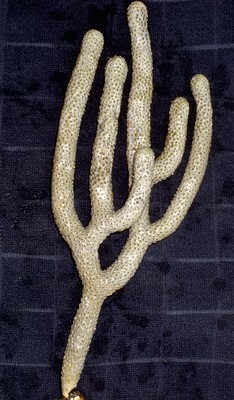 The encrusting gorgonian, Briareumasbestinum commonly grows onto and over Pterogorgia, kills it, and uses the former’s axis for structural support. 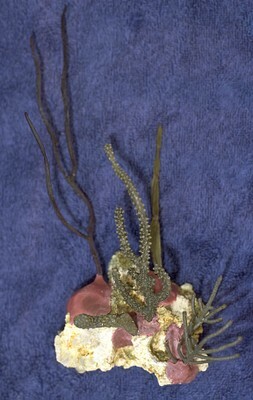 There are three species of seafans in this genus, G. flabellum, G. ventalina, and G. mariae. 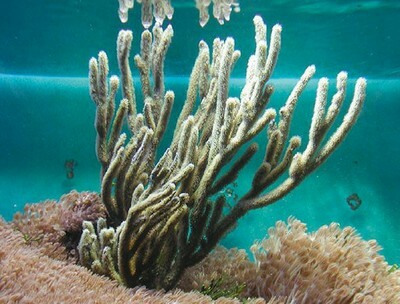 This genus is not widely available to aquarists in the USA, although it is very common in nature, fast growing, and easy to keep in the high light high flow aquarium systems employed for keeping sps corals. 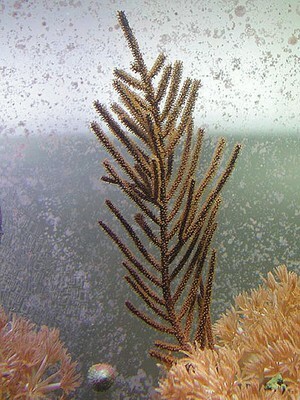 The reason for its scarcity in the aquarium trade is a ban on its harvest from Florida and most Caribbean locations. 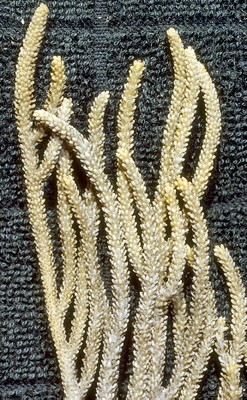 The bans were put into effect because large seafans were commonly harvested and dried for the curio trade that was especially popular in the 1950’s and 1960’s. An aquarium trade in small three inch sized fans would hardly make an impact on the two common species in this genus, but such details cannot easily be accommodated by bureaucracy. Furthermore the fungus Aspergillus sydowii has been responsible for the mass destruction of Gorgonia ventalina especially over the last 15 years (Nagelkerken et al., 1997). This fact is sure toeliminate much hope of someone proposing a commercial harvest of this genus, although I hear that Caribbean-collected specimens are occasionally available to European aquarists. Almost ten years ago I submitted a grant proposal to demonstrate that one inch by one inch squares of Gorgonia ventalina could be harvested from large adult colonies (which can be more than 36 inches across and multi-lobed) using a scissors. 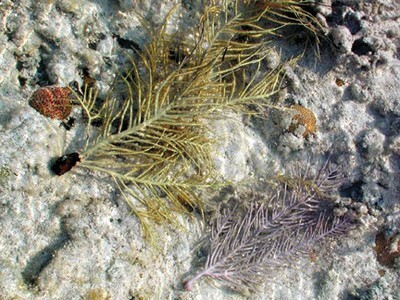 The small fragments could be attached to limestone rocks and cultured for sale to the aquarium industry or used in reef restoration as a means of rapidly generating new colonies without having any removal of established colonies. I included the proposal that the idea could be extended to the harvest of small branches from other photosynthetic gorgonians. The grant was submitted as part of a request for applications demonstrating novel harvest approaches. It was rejected on the basis that there was no prior literature that showed my proposed method would work! The recent study by Castanaro and Lasker (2003) mentioned earlier partially fills that literary void. Hopefully the scientist who rejected my proposal has found the time toexamine things outside the lint collecting in his navel. 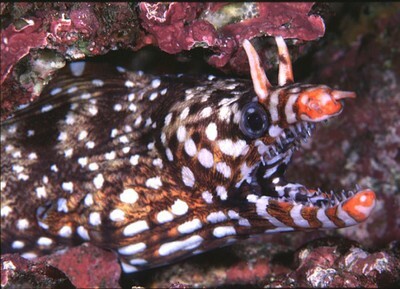 The slit-pore gorgonians belong to the genus Plexaurella. They are all pale brown or yellowish, and form colonies with club-tipped branches. Large specimens may have many branches, but average sized colonies consist of a main axis and just a few branches, giving a shape like a big sahuaro cactus. These are very hardy and can be recommended as a “beginner’s” coral. They must not be allowed to rest against the substrate, however, as the portions of branches that lay on the sand or against a rock will suffocate and rot, turning black and falling off the axis. Tips of branches under bright illumination (close to a 250 watt or 400 watt metal halide) may fail to open. This is a response to photosynthetically produced active oxygen. 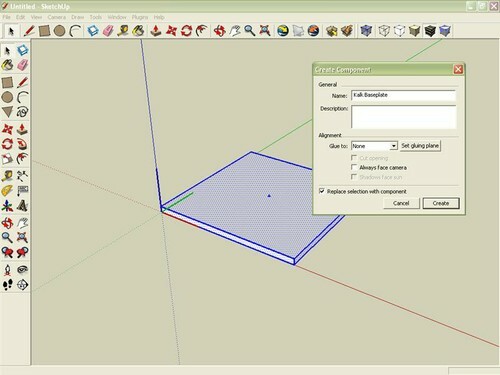 Shading will stimulate expansion of the polyps in this case. The various members of the genus Muricea, which includes photosynthetic and non-photosynthetic species, are a bit delicate in captivity, so I don’t recommend them to the novice. 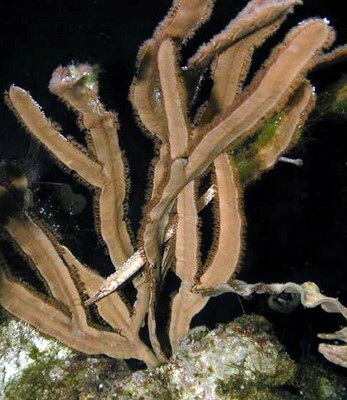 The deepwater fine branched “silver bush” gorgonian from Florida is an exception. It ships well and is hardy in aquariums. This genus has two common species in the Caribbean, M. flavida and M. sulfurea. The former is sold under the common name “purple bush.” The latter is not harvested commercially for the US and European aquarium trade. It occurs in the southern Atlantic and Caribbean and is common in Brazil, where it attains larger dimensions than elsewhere. This genus is well known to aquarists as “green star polyps” from Indonesia. In the Caribbean colonies of Briareum lack the fluorescent green pigment of their Indonesian cousins, but they are nevertheless beautiful and hardy. 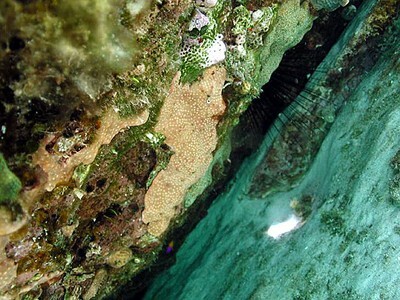 Reef aquarists should be careful with this genus, because Briareum has a habit of encrusting live rock and then overgrowing other corals attached to the rock. 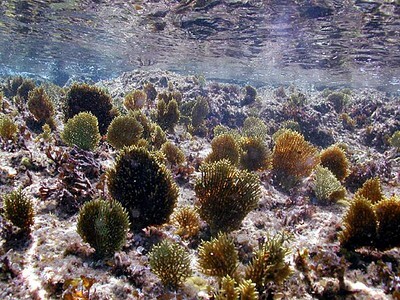 Encrusting forms of Briareum should be kept on the sand and not allowed to grow on the rocks. They are easy to keep when given bright light and strong water currents. This encrusting soft coral is easily and often confused with encrusting Briareum. In fact they are not closely related, Erythropodium being a closer relative of the knobby gorgonian Diodogorgia nodulifera, which is azooxanthellate. Erythropodium has zooxanthellae, so it is brown. The underside of a colony has a purple color due to purple sclerites. 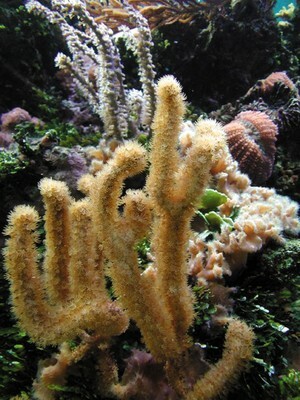 The polyps of Erythropodiumcaribbaeorum are brown, without stripes, and form elongate hair-like tentacles in strong water motion. When the polyps are withdrawn, the calyces are lighter than the rest of the surrounding tissue, so they appear as light spots. 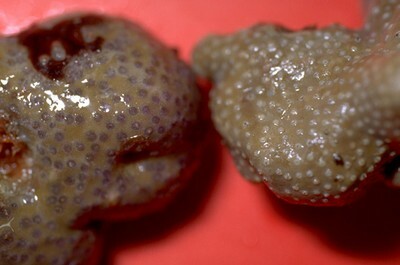 In Briareum asbestinum the closed polyps are darker than the surrounding tissue. 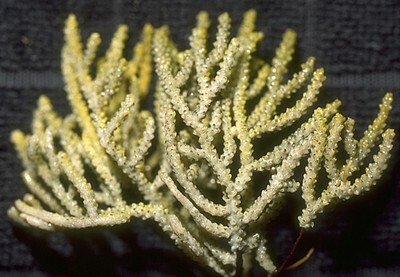 Cyanobacteria in the genus Phormidium, which cause “black band disease” in corals, also affect gorgonians, such as this Pseudopterogorgia sp. They can be siphoned off as a means of control. Otherwise they slowly smother the coral and cause the live tissue to decompose. Muriceopsis flavida is sold under the common name “purple frilly.’ It has a pinnate shape, like Pseudopterogorgia, but its branches are round in cross section, not flattened.